Bill Baruch’s Mid-Day Markets Minute short video here. Fundamentals: Major U.S benchmarks pared early losses yesterday to notch a solid session to which they extended gains overnight. The S&P traded to a high of 2737.50 and is being led by the banks after post-bell stress test results; pre-market the Financial Select Sector SPDR Fund (XLF) is up nearly 1% and JP Morgan (JPM) and Bank of America (BAC) are both up more than 1.5%. However, it seemed to be a deal reached between EU leaders with little details late last night that jolted equity markets through Thursday’s session highs. Upon this news the euro (EUR) spiked nearly a penny and knocked the Dollar Index (DXY) off the highest level since last July. As we regularly point out, a strong dollar weighs on multinationals and this brought relief. Sticking to Europe, Germany’s parliament approved an aid package for Greece this morning; the DAX is leading the way +1%. Today marks the end of the second quarter and little to no fresh news on U.S and China trade tensions has also been a positive. However, this morning it was said President Trump is looking to reevaluate status with the World Trade Organization and this knocked the S&P 500 (SPX) from session highs. Still, an announcement from the White House on restrictions on Chinese investment in the U.S is pending and should lead to a very volatile session. Without a clear answer heading into the weekend and as investors and portfolio managers eye the July 4th holiday on Wednesday there is a high probability we see risk-off ahead of the bell and the close of Q2. Personal Income and Outlays Report: personal income increased $60.0 billion (0.4%) in May, according to BEA today. Disposable persona; income increased $63.2 billion (0.4%) and personal consumption expenditures increased $27.8 billion (0.2%). Chicago PMI: New orders, order backlog drive Chicago Business Barometer to 64.1 in June. Chinese Manufacturing and Non-Manufacturing PMI will be released at 9 pm EDT. Fundamentals: Crude Oil remains strong and yesterday it settled at the highest level of the year and the highest since November 2014. The risk remains to the upside and the fear of a supply deficit later this year is driving sentiment. Outages in Venezuela, Libya and Canada alone could have supported prices this week. However, coupled with the largest draw since September 2016, the July 4th holiday week and of course the White House’s demand that countries stop importing Iranian Crude by November or face sanctions has ripped this market by more than $10 in less than two weeks. Saudi Arabia plans on ramping up production next month but demand continues to grow and comments from the Saudi energy minister that we could see a supply deficit of 1.8 mbpd later this year sits fresh in the minds. For demand, analysts expect it to increase by nearly 1 mbpd through 2019. Fundamentals: The Dollar Index is weaker on euro strength but the story for Gold remains more dependent on the U.S. dollar/Chinese yuan (USD/CNY) relationship. 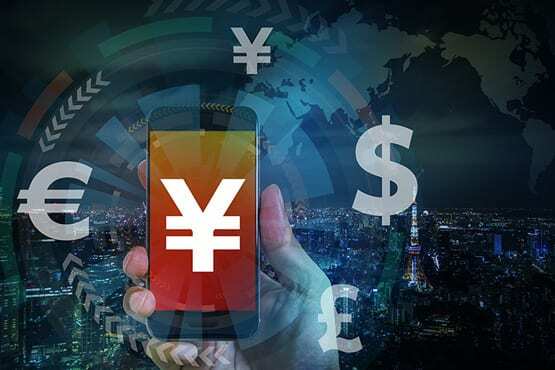 The good news is that it has retreated from its six-month high, however, the Hang Seng and Shanghai Composite are both up 1.5% and 2% which means little demand for safe haven assets. The table is set for Gold though, the currency markets are providing a small light at the end of the tunnel. Most crucial this morning will be PCE. This is the Fed’s preferred inflation indicator and will be accompanied by figures on Personal Spending, Income and Consumption.